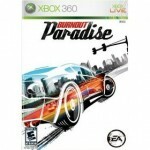 Criterion has just announced that they plan to release their next big Burnout: Paradise content pack on June 11th. ‘Big Surf Island’ is an entirely new, downloadable area for Paradise City. It will feature new cars, including the Carson Dust Stormer, and a several new events and challenges. Criterion has not yet announced the pricing on this new DLC, but rest assured that we will know by E3 in early June. Criterion Games (Officially called Criterion Software) is a Guildford, England based video game development company. Criterion is best known for its work on the multi-platform “Burnout” series, the PS2 and Xbox first-person shooter “Black”, and the RenderWare middleware game engine, created by Criterion Software.